Sound Blaster X-Fi Go! Pro r2 Creative USB Audio Interface SB-XFI-GPR2 Japan. Earphones & Headphones. Neodymium magnet transducer produces a greater clarity. 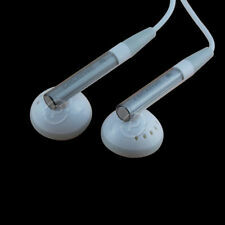 Creative EP-630 Noise Isolating Earphones. Grado iGrado On-ear Neckband Headphones. Ear Cushions & Pads. Here is a great opportunity to grab a100% Authentic & New (never used!). Creative EP-630 In-Ear Noise Isolating Earphones - Black. Earphones & Headphones. Neodymium magnet transducer produces a greater clarity. 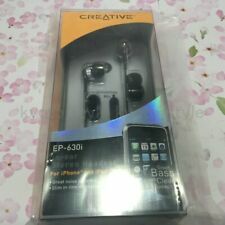 Creative EP-830 Noise Isolating Earphones. Grado iGrado On-ear Neckband Headphones. Creative Labs EP-480 EP480 51MZ0170AA034 Stereo Headphone Earphone - White. Beyerdynamic DX 160 iE Premium Headphone. This is a100% authentic & NEW Creative Labs EP-480 In-Ear only Headphones (Discontinued Model &. ). Shut out the din in your air cabin or make clear voice calls on your iPhone with the Creative HN-900 noise-canceling headphones. If the headphones run out of battery power, you can still use them in the passive mode without noise cancellation. Earbuds that were included with a Dell laptop I bought a decade ago. Still sound massive but i have a newer pair that fit my ears better. Basic, no nonsense or frills, solid sounding earbuds. Item details were auto populated so ignore those. Wire is right at 3 ft long. Only earbuds included as pictured. Japan Creative In-Ear Noise Isolating Headphone EP-640 BK F/S. Condition is New. Shipped with USPS First Class Package. ya08842 CREATIVE HP-AURVN-LV Aurvana Live! Headphones from Japan New! Ya08842 CREATIVE HP-AURVN-LV Aurvana Live! Headphones from Japan, New! 's Stereo headphones that achieves faithful audio reproduction to the original sound natural. 5 out of 5 stars - ya08842 CREATIVE HP-AURVN-LV Aurvana Live! Headphones from Japan New! 2 product ratings2 product ratings - ya08842 CREATIVE HP-AURVN-LV Aurvana Live! Headphones from Japan New! AURASEAL DESIGN | Up to 98% noise isolation while you focus on your work. Enjoy your music with minimal, or no distraction, when you turn on the active noise cancellation (ANC) switch. Aurvana ANC – Active Noise-cancelling Heaphones with Mic. Aurvana ANC headphones are engineered for better sound and comfort you can take, anywhere you go. 1 pair of WP-350 headphones with invisible mic. It allows you to switch seamlessly between a voice call and music playback. Its apt-X Bluetooth audio technology ensures high-fidelity playback from apt-X enabled devices. Rotary and flexible noise-canceling boom microphone for a better fit and clear communication. The Creative HS-600 headset is designed with an excellent noise-canceling microphone that enhances speech accuracy and clear voice transmissions. With the Creative WP-300 wireless headphones, you can move comfortably around in the room, lounge in the patio or stroll outside, while still listening to your music. Indulge in the purest audio experience – without the hassle of cords. Sound BlasterX H6 USB Gaming Headset (Black). FG,GH0390 SOUND BLASTERX H6 BK WW. Check-Out Now! With all of the features of the original BlasterX H5, but made with a more pronounced side plate for even more detail. Unique to the BlasterX H5 drivers is their tilted design, which creates a mini acoustic chamber to reduce resonance and increase sound separation. Creative Outlier ONE Wireless Bluetooth 4.1, IPX4 Water-Resistant Sweat-Proof in-Ear Headphones with Built-in Microphone, 9.5 Hours Battery Life and Tangle-Free Cable (Black). Reach new heights in your fitness with the specially tuned 6mm Neodymium drivers that keep your music pumping. Aurvana In-Ear2 Plus. Aurvana In-Ear2 Plus takes the vision of a great sound architecture further with improved audio performance and comfort for heightened listening pleasure. Aurvana In-Ear2 Plus raises the bar with improved audio performance and comfort for heightened listening pleasure. New in box and enclosed in plastic bag. A worthy successor to Creative's most popular gaming headsets, this powerful, lightweight piece of gaming gear is the real deal. Performance Gaming Headset with Detachable Noise-reduction Microphone. CLEARER, LOUDER, HARDER, BETTER. Get the best gaming audio anywhere. BlasterX Acoustic Engine Lite Software. - Sound BlasterX P5 Headphones ONLY. Traditional inline microphones do the job for phone calls, but often lack the clarity required for gaming communications. 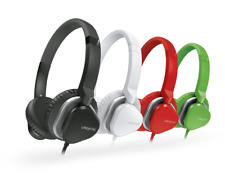 The Draco HS880 also doubles up as a pair of headphones. Detach the noise-cancelling microphone and indulge in your favorite music while on the go. Winning never sounded this good! Place them into the included travel pouch and you're good to go! Tactic Fury Sound Blaster Headset. Dual-mode design lets you connect the headset to your PC using either a standard minijack, or via USB for the full THX TruStudio Pro experience. When you want to communicate with your teammates or make Internet calls, use the detachable noise-canceling microphone built into the headset. Cut the din in your air cabin or make unperturbed voice calls on the iPhone with the Creative HN-900 noise cancelling headphones. Shut out the din in your air cabin or make clear voice calls on your iPhone with the Creative HN-900 noise-canceling headphones. Condition: used in good condition, IN EAR HEADPHONES WORK ONLY. CREATIVE HP-AURVN-LV Aurvana Live! Headphones Japan F/S. Aurvana Live! Is a powerful 40mm neodymium magnet driver and composite biocellulose diaphragm that plays natural audio faithful to the original sound. Trending at $67.33eBay determines this price through a machine learned model of the product's sale prices within the last 90 days. Mfr Part #: 51EF0670AA001. Aurvana In-Ear2 Plus takes the vision of a great sound architecture further with improved audio performance and comfort for heightened listening pleasure. Aurvana In-Ear2 Plus. The Aurvana 2 features a full, well-rounded sound profile that's punctuated by rich bass and ideally matched to diverse vocals and a wide range of musical styles. Featuring an AuraSeal design that provides excellent noise isolation, the headphones are compact, lightweight, and durable. The Sound BlasterX Pro-Gaming Series has created the Sound BlasterX P5 – a performance in-ear headset that is designed specifically for gaming. Sound BlasterX P5 High Performance In-ear Gaming Headset with High Sensitivity. (Creative HQ-1400 Headphone Stereo Mini-phone Wired. Creative HQ-1400 Headphone Wire. Guam, Puerto Rico, Virgin Islands, etc.). Creative EP-600m In-Ear Headphone with Mic (Black). Check out our other phone cases and accessories for sale! Their is a small label on the box with a number on it. The Sound Blaster JAM is a pair of ultra-light Bluetooth wireless headset that gives you freedom to roam in comfort, no matter how long your playlist is. Untethered and untangled. 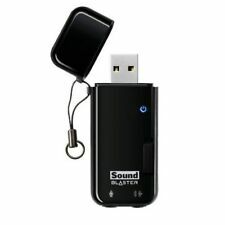 Let your taste in music be as easygoing as the ultra-light Sound Blaster JAM! LIGHTWEIGHT & DURABLE – Outlier is the lightest in its class. Crafted from durable material, the headband is flexible. 4-WAY MUSIC PLAYBACK – Simply connect to Outlier via Bluetooth®/NFC, microSD card, USB Audio and 3.5mm AUX-in. ・ Replaceable "with fin" "Ear cap" included, with active use scenes and daily use as well. ・ Adopted a cord of about 0.5 m which is hard to get entangled. ・ IPX4 equivalent waterproof performance is provided and it can be used for exercise such as walking and training. Fullspectrum 40Mm Audio Driver Is Fully Reproduce All Of The Range. Sealed Ear Cup Will Passively Cut The External Noise. Corresponding To The Aptx And Aac Technology, It Will Play To Clear The Audio Content Sent Via Bluetooth. Savour a redefined level of sonic excellence! Creative Earphones. Creative HS 930i For Iphone. Creative Earphones. Creative HS 930i For Iphone. Used a few times. In great condition. Hard to find. Comes with original storage pouch. Shipped with USPS First Class Package.